In May 2013 the Maritime Safety Committee (MSC) of the International Maritime Organisation (IMO) adopted amendments to SOLAS Regulation III/19 which added a new requirement for mandatory enclosed space entry and rescue drills. 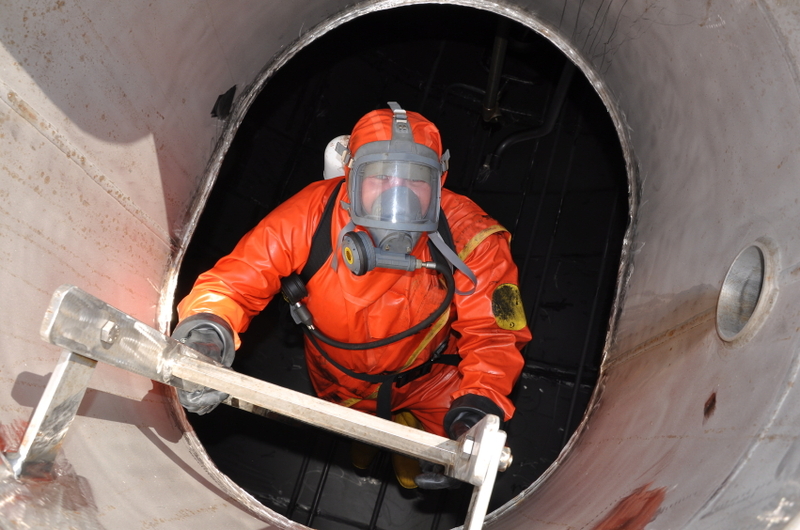 From 1 January 2015 all persons involved in enclosed space entries, and / or assigned enclosed space rescue duties, will be required to take part in enclosed space entry and rescue drills at intervals not exceeding two months. “3.3 Crew members with enclosed space entry or rescue responsibilities shall participate in an enclosed space entry and rescue drill to be held on board the ship at least once every two months. 3.6.1 Enclosed space entry and rescue drills should be planned and conducted in a safe manner, taking into account, as appropriate, the guidance provided in the recommendations developed by the Organization. .5 instructions in first aid and resuscitation techniques. Although SOLAS requirements do not apply to vessels of less than 500 gross tonnes, or vessels which are not engaged on international voyages, some administrations may introduce national legislation extending the new regulation to vessels not covered by SOLAS. Members are advised to ensure their Safety Management Systems are updated to reflect this development and to implement such drills in good time before the new requirement enters into force. At the next MSC meeting in November 2014, it is expected that IMO will approve amendments to SOLAS in the form of new regulation XI-1/7, making it mandatory for all vessels to carry portable gas detectors. As a minimum, portable gas detectors will need to be capable of testing for concentrations of oxygen, flammable gas, carbon monoxide and hydrogen sulphide prior to entering enclosed spaces. This requirement is expected to enter into force on 1 July 2016. However, it is likely that IMO, following adoption, will urge early voluntary compliance with this regulation from 1 January 2015 to coincide with the new enclosed space entry and rescue drill requirement. Previous Entry Panama Canal first gate for Pacific side gets transited. Next Entry SOLAS – Amendments to the IMSBC Code (Amendment 02-13) – Reminder.